First, you need some tape brushes which you can download here. And a polaroid picture which you can download here. After you downloaded them, load the brushes to your Photoshop. 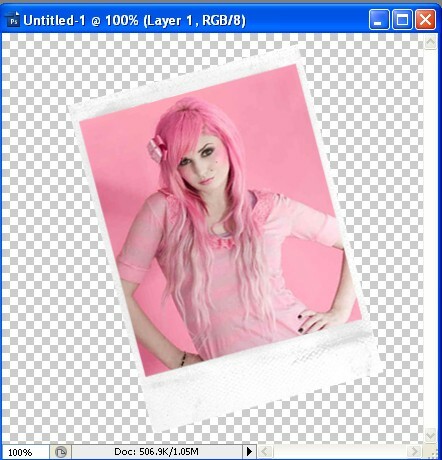 Now drag the Audrey image into this document. Step 3: Open up the polaroid picture you just downloaded. 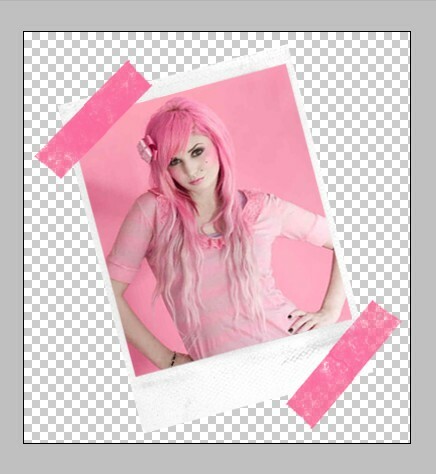 Copy and paste the polaroid into your new Audrey Kitching document. Step 7: Now you're done! I added some text and lil heart brushes to it and...voila! There you have your polaroid picture with a cute tape! Save it as a .psd image. Your two links at the beginning are broken. Was really looking forward to trying this. GREAT TUTORIAL!!! I LOVE IT!! I was wondering if there was a place where I download that font that you used? cool tut. thanks for providing the links. makes it so much easier! 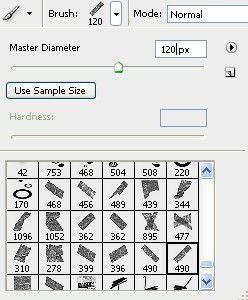 I'm lost on how to drag the picture into the new document that we create. this is hot, i like this. i am lost at step 3. where does the polaroid come from?